The Paperlane and Witch Wool? : Distressing Bank Holiday! Hello One and All! Thanks for visiting! Please don't get upset by the title - even though it has been raining most of the weekend so far, we have had a lovely weekend at The Paperlane! 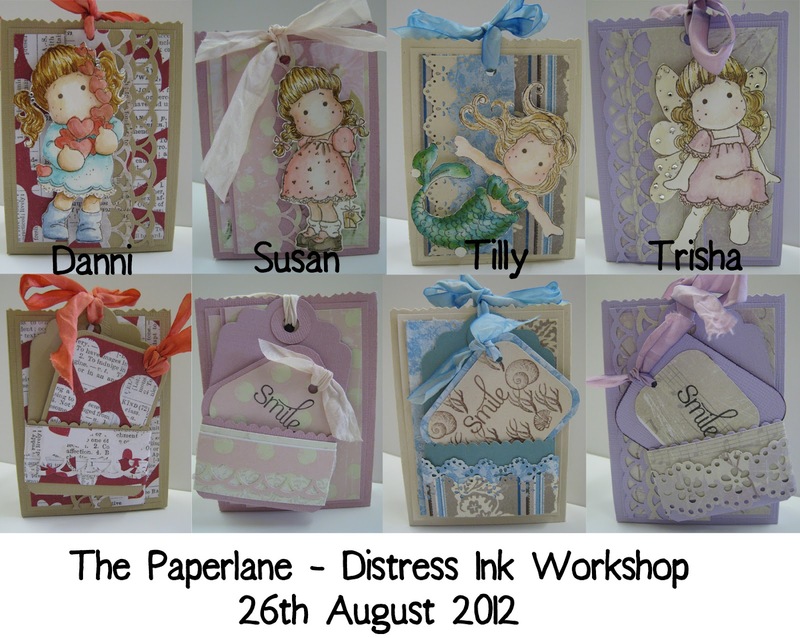 Today was a workshop on how to use Distress Inks to colour character stamps. The project that we made was a small gift bag - all of the ingredients for the project are listed below. UPDATE: For everyone who is waiting for the Saturated Canary stamps to arrive from America - they are on their way! We will let you know straight away via the blog, Facebook and Twitter when they are here! You could always drop in the store or email if there are any that you would like saving!